Crowdsourcing partnership wins accolades for innovative gig-based service model which has boosted customer experience while reducing costs by 35%. 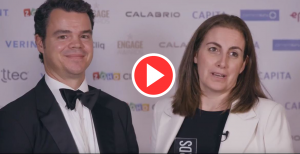 London, Wednesday 28th November 2018 – Limitless, the UK-based inventor of a SaaS platform offering AI and crowd-sourced customer service solutions, has won ‘Best Innovation in Customer Engagement’ at 2018 Engage Awards for its successful partnership with Daily Mail Group. The award comes hot on the heels of Limitless being named as Rising Star at Deloitte’s UK Technology Fast 50 programme. Limitless’ on-demand customer support platform allows Daily Mail Group to source Crowd Service™ Ambassadors, who are loyal customers of its products and services and leverage their product knowledge to provide world-class customer support. Ambassadors, who are gig-workers, enrol on Limitless’s Crowd Service™ app to answer customer queries, in exchange for cash rewards. Following its success, Daily Mail Group has since deployed Limitless Live Messenger™, an asynchronous peer-to-peer messaging platform, on its various product websites. This allows website visitors to also connect directly with Crowd ServiceTM Ambassadors. Daily Mail Group is now successfully deflecting over 35% of digital enquiries giving its core Customer Service team more time to focus on more complex queries.